You’ve only ever seen her before in the stuff that dreams are made of, surrounded in beams. That light, cloudiness. That ethereal, magic. She looks unassuming at first, though you can tell there is something there. Of course you can tell there is something there, because when she walks in and sits in the back, she is dark beauty and vortex. She is all leg and fishnet stockings. Black. Diamonds. Boots. Skin. She is the person you are trying not to turn back to see, but you catch your head moving of its own volition, regardless of your explicit instructions to it and home training against rudeness. You look. She’s probably used to it. That doesn’t make it better. There is clapping, and then he introduces her. It may or may not have been a fitting introduction, you weren’t particularly listening. She doesn’t glide onto the stage, she powers up it. She is power as she takes the mic, and you notice that her colour contrasts with the patent white on her nails. Is that on purpose, you wonder, to make her glitter against the night? Maybe. Her voice is going to outshine everything anyway, so I suppose nails are a worthy accessory. You remember the last time you saw that power – when she was red lightning across an audience at The Voice Holland. Now, she is not red lightning. She is melanin fire. She also introduces herself, a short and sweet one, whipping up to your emotions before she rips through them, you guess. No one is ready for when she opens her mouth. Her voice is breathy strength on melody, barely leashed furies and emotions. Her smile distracts you from what’s coming out of her throat. She soars on the keys of her own making then tears them apart with throaty finality. 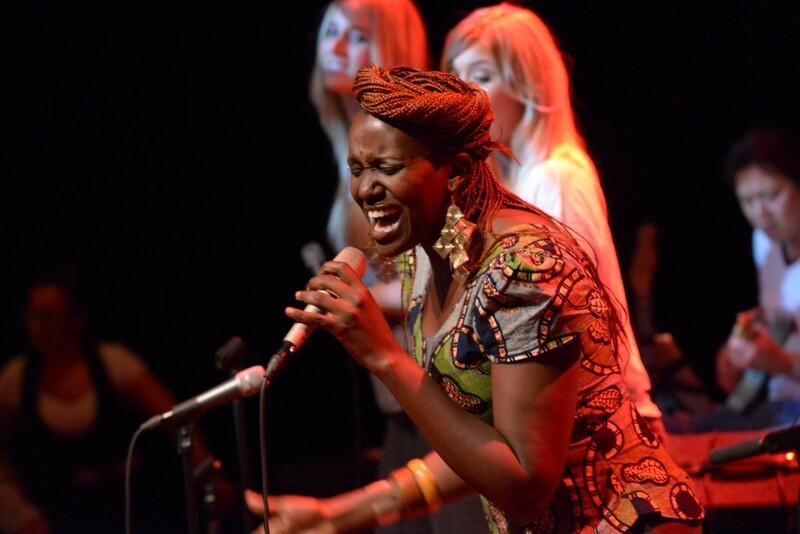 She is bluesy roots and Kenya’s flavour. She takes you to church and brings you to love and to home in one swoop. She wants your heart, make no mistake. She takes all the prisoners. It makes you think about what your body was meant to do – if, when someone is watching you in your unrivalled element, that they can tell what you were made for, the way Silaiyo’s entire person is meant to sing. Her fingers are made to punctuate her words. Her hands are made to reach for the heavens she leads us to and flies over. Her smile is made to bless the message. Her being is made for this. She sings of the valley of her birth and voices in the wind and the songs of her people, and you want a song for your people, too. It gives you goosebumps to hear what belonging sounds like. 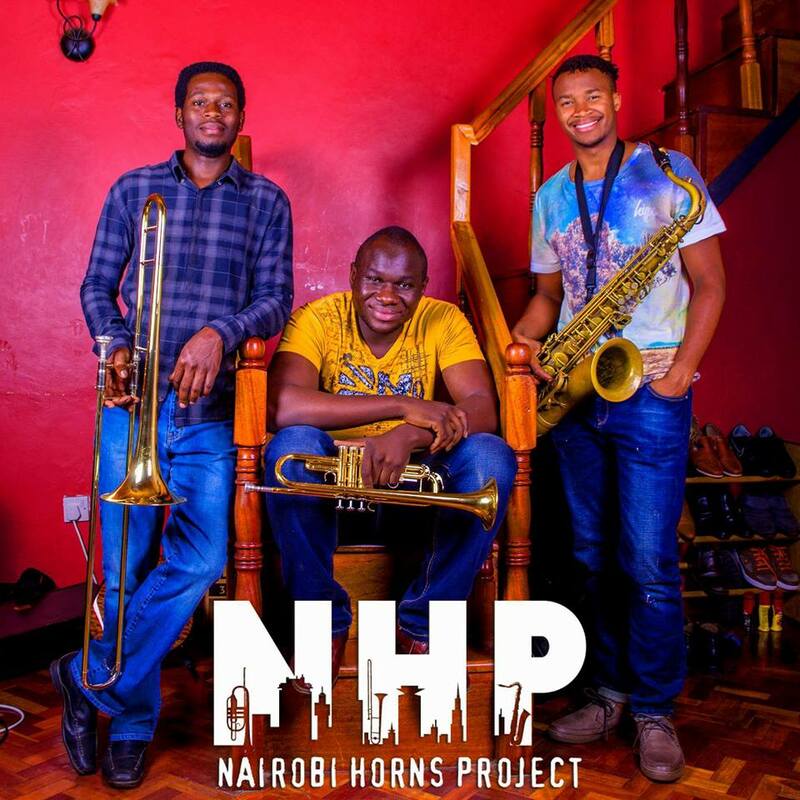 I am at Michael Joseph Centre, Safaricom House, watching a performance being put on by one of my favourite jazz bands, the Nairobi Horns Project. 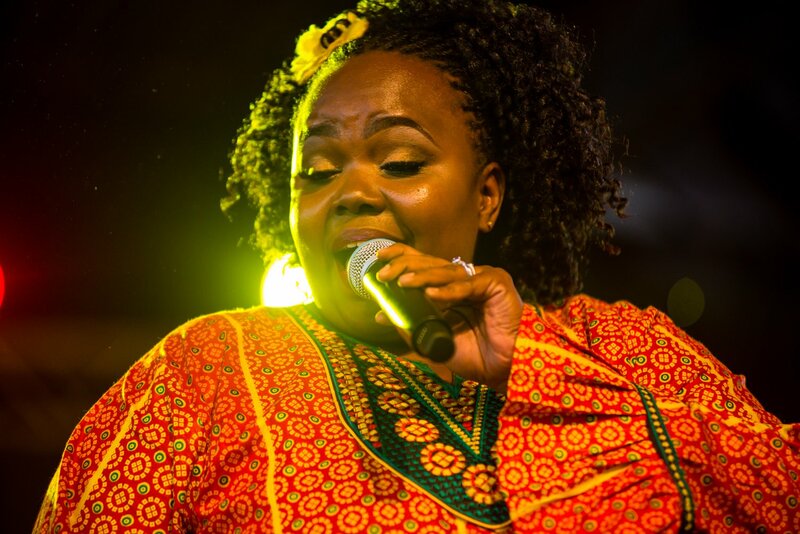 They’re due to perform at Safaricom Jazz next week, but before that, they have a couple of performances – two, to be exact, before the big day, one of which I am invited to. During this evening’s event, I get to see Silaiyo perform live, for the first time ever, and I won’t forget it. It knocks me off my feet. You know that visceral feeling you get when you watch someone perform live, and you never have before, and you neffa hesperredit, and it’s really, really good? That’s what I am feeling, in that moment. She lights it up, and it makes me excited to be in the audience. It makes me excited to be Kenyan. It makes me excited to be a woman, actually, because women can wield this power with seeming ease, and it’s gorgeous. I say big day for NHP, because they’re going to be sharing the stage with a legend – an 80 year old Manu Dibango, he of Soul Makossa fame. That may be the only song you know, but that definitely isn’t his only hit. Manu Dibango is no one-hit wonder – not with a musical career spanning five decades and dozens of albums to his name. Yes, dozens. I mean this literally. 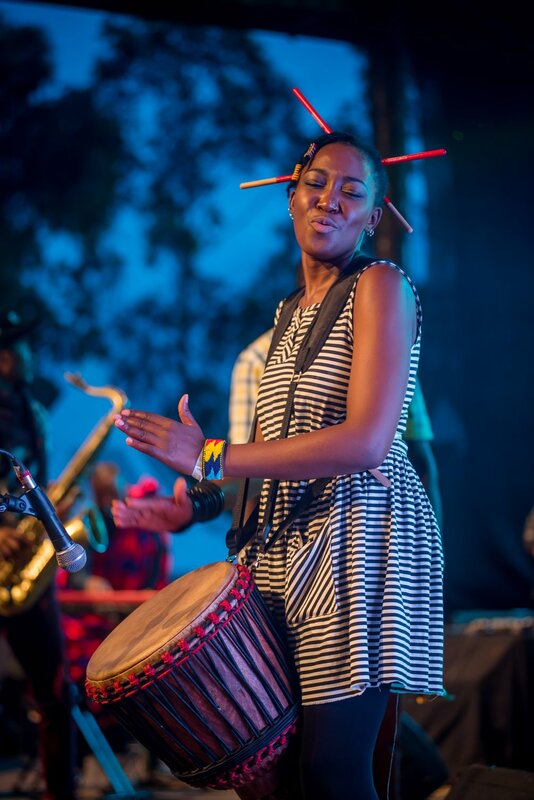 The thing I love most – ok, one of the things I love best, about Safaricom Jazz, is that there is no way, in my lifetime, that I would have ever been able to see Manu Dibango live. I don’t see how it would have happened. And this is the same for so many other artists they bring, who have quickly become my favourites – the two who come to mind are Joja Wendt, who really could be a stand up comedian if he ever decided to not be an award-winning incredibly gifted pianist – and, Kirk Whalum. Ironically, even though I love Whitney Houston, I’ve never thought to look up the instrumentalists who lend volume and nuance to her voice. It’s the same way you never really check who wrote the song, you know? The way everyone assumes Toni Braxton wrote Unbreak My Heart, or Michael Bolton penned Missing You Now. (They didn’t. For the record, that was Diane Warren, who you should really look up and thank for so many hits that you adore.) Anyhue, Kirk Whalum was the guy behind that hauntingly beautiful saxophone solo in Whitney’s I will always love you, among others. You didn’t know that either, huh? I didn’t know that until Safaricom Jazz. Another one of my favourite things about Safaricom Jazz is the fact that – and I know that you might not think that this is a big deal – but they always start on time. If the flier says gates open at 11, the gates will open at 11. If they flier says the event starts at noon, it will start at noon. And if the flier says the event ends at midnight, best believe everything is going to packed and ready to go before then. Do you realize how wonderful that is, in this barren land of no punctuality that is Kenyan concerts? How great it is to be able to plan your time, because you know that organizers will not keep you waiting for four hours before the first act goes on stage? How reassuring it is to know that you won’t have to mill about, trying to find things to do because you didn’t plan to be at a venue for 12 hours? It’s a freeing feeling, I’ll tell you that – the feeling that someone respects your time. Kavutha certainly does respect your time, and the time of the artists on the stage. Kavutha is usually the MC for Jazz, and she runs a tight ship. Artists are on stage for exactly this long, and no longer, outside of their bow. Her links are flawless. Her good-naturedness is immediately evident. She wants you to really relish your afternoon’s entertainment. And she always makes me contemplate what my future would be if I had ever been moulded by her hands into a pop superstar. Is there anyone who sees Kavutha and doesn’t think remember all the singing shows she’s been a judge or coach for – some of which I tried out for, I confess? In another life, I fancy myself a bit of a singer, and Kavutha is definitely a bit more than a singer. Not only can she belt out a tune (and maintain impeccable voice control), but she can also teach you how to do it. And clearly, from her MCing duties, she has the gift of the gab. She’s a multifaceted triple threat. Imagine what she could have done with my tusmall talent? But then I remember how shaky my voice used to be at auditions, and what terrible song choices I would make, and I shrink in the face of those memories, ha. At Jazz, Jacob Asiyo is on stage, and he’s doing what he does best – cracking jokes about his wife. I kid. He’s playing the hell out of a piano. Kavutha, meanwhile, is taking a break from MCing to be front and centre for one of the songs that tells their love story. It’s dripping in romance. She holds the microphone with the composure of a seasoned professional, and sways on the dais – first this way, then that. First bewitching, then controlling, then teasing, and then she bowls you over with a single note– and then she smiles, because she knows what she’s done that you can’t do, which is manipulate your voice, like that. NHP remains after the couple has left. I’m watching their performance, more so than I have the other acts, mostly because I’m looking for the members who I know. I notice that I never notice her first. I usually pick out Mac, and Rabai, first, after I admire Victor’s mathematical precision on the trombone and once again make myself laugh with visions of what I could have been – perhaps delusionally. I then see Amani, whose ready grin over the cymbals on his drum set is a steadfast marker for any NHP performance. Today, my eyes shift left to Kasiva, and then, I can’t take my eyes off her, and her hands. Her hands are in constant movement. Whether her head is looking elsewhere or she’s laughing, or dancing in her seat, her hands are in constant movement, like a heartbeat, always pulsing. For the faster songs, they move like a blur – particularly during one of her rhythmic solos where if you’re not careful, she’ll lose you. You can’t see them, they switch up so fast. It’s like her hands are an extension of the music – you can feel it, but you can’t necessarily see what it’s doing, even as they change from action to action; raised as if in worship as she jiggles the twin shakers; swiftly taking out a yellow squeaky toy to add a random high-pitched sound that somehow! fits in with the set; stroking the chimes, which resemble a shimmery curtain, hiding her eyes, bright above it, like some sort of Tinseltown she hides her skill and smile behind. That smile, wide and completed with a perfect African mwanya. Then I notice, when she stands up, the chopsticks in her hair are matching her shoes – both red, like danger, but danger that you welcome. You welcome it because of the person wielding it. Her energy is contagious. Vivacious. Infectious, even. Her shoulders are a beat unto themselves, now that she has stood up, like they’ve taken on the fluidity that comes so easily to her fingers. She is the percussion, personified, to the wave of music that inhabits our minds, hearts, ears and this open space. She makes you believe that there is no where she’d rather be. She’s absolutely delighted to be HERE. I know this also because I have read articles about Kasiva, and how before she started her musical journey she was told that girls playing the drums is taboo. How she fought against that and played anyway. How she still gets flak for being so good at it, and being female as well while doing it, and how much she enjoys it. I felt like the story only touched at a hint of what was bubbling under the surface. Regardless, you can tell that she leaves all of that behind when she’s up there. It would be a taboo to not let her play, I can tell you that, and she easily fits into her own revolution as she commands the crowd – who have no idea they’re being commanded. I don’t know her life, or her story, but I see understand the language of her energy. Her vibe. These women vibe with me. The music they make resonates with me. It fills my heart. It opens my mind. Their stories, and their dance, and their spirit, and their essence, and their music, move me.